Olivia's efforts gain her an extra £150! A volunteer at a St Joseph’s Hospice was so inspired by Olivia Jones's fundraising efforts, he has donated £150 of his own money to her cause. 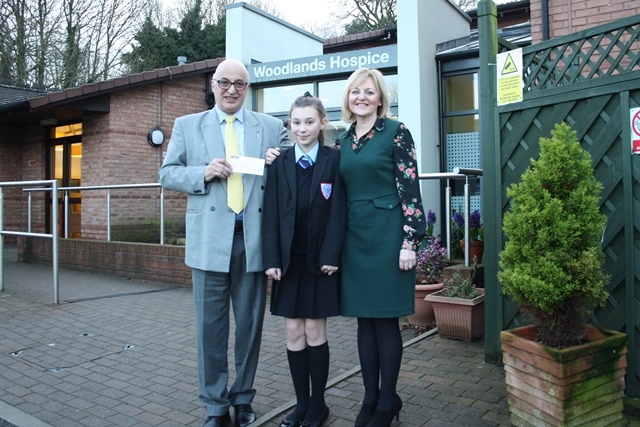 The story, which previously featured on our website, revealed how Olivia had raised over £1000 for Woodlands, in memory of her grandfather Mervyn. Tom Davis, who volunteers at St Joseph’s in Thornton, read about Olivia’s achievement in the Champion newspaper and contacted us with his offer of help. Now retired, Tom also helps out at North West Cancer Research as well as St Joseph’s, where his father was cared for during his final days. 12-year-old Olivia, who attends Deyes High School in Maghull, had previously raised the £1,000 during 2017, after staging a variety of events and activities at school and for friends and family.